Back to reality after touring in Porto – we had a weather forecast to catch! We’d met some new friends at the docks in Leixoes; boats seemed to be arriving daily, with sailors of all nationalities aboard who were our age! Quickly, we became acquainted with a Norwegian boat S/Y Westlee, and passed along our contact information before waving farewell. The wind was in our favor and our southbound mission persisted. S/Y Westlee was headed in our direction, so we would certainly meet again…Detour set sail at 14:00 for a jaunt down Portugal’s coast. 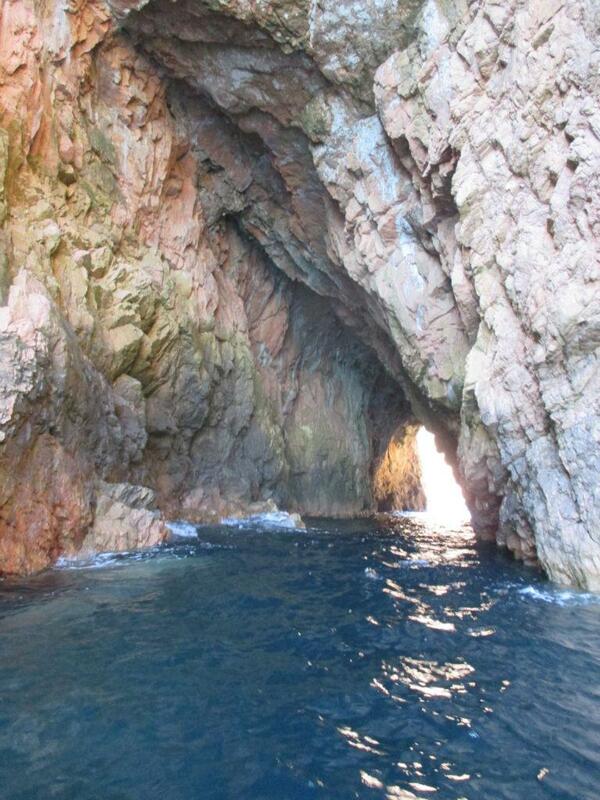 After a brisk 122 nautical mile overnight sail, we anchored for a pit-stop at the island of Berlengas. Exploration by dinghy led us through a natural tunnel in the island’s rock. Clear, turquoise water swarmed with carp-like fish who had to leap, dive, and scatter to be clear of our dinghy’s bow. Several other tunnels, exposed by mid-tide, were popular with divers; tour boats bobbed around the tunnels while divers explored the depths. 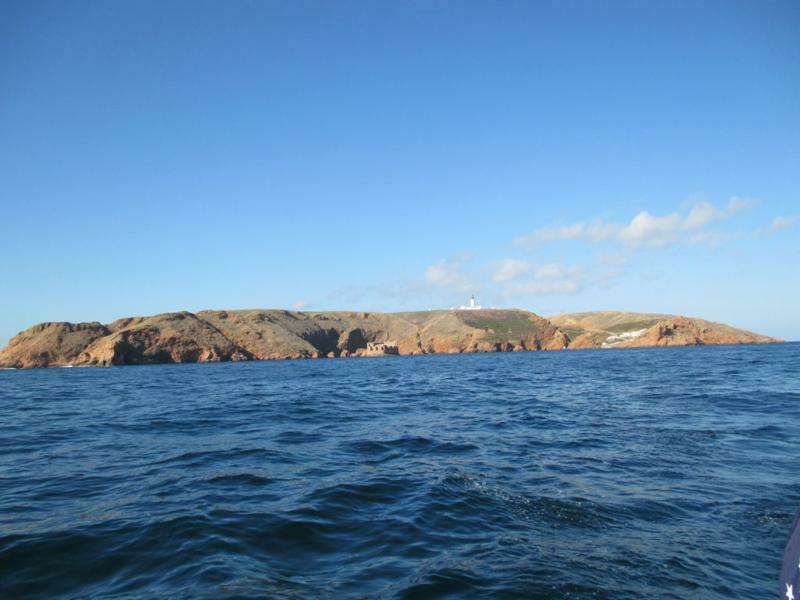 Berlengas is a present-day nature reserve; it is loaded with terns, plovers, gulls, and skittish black lizards. 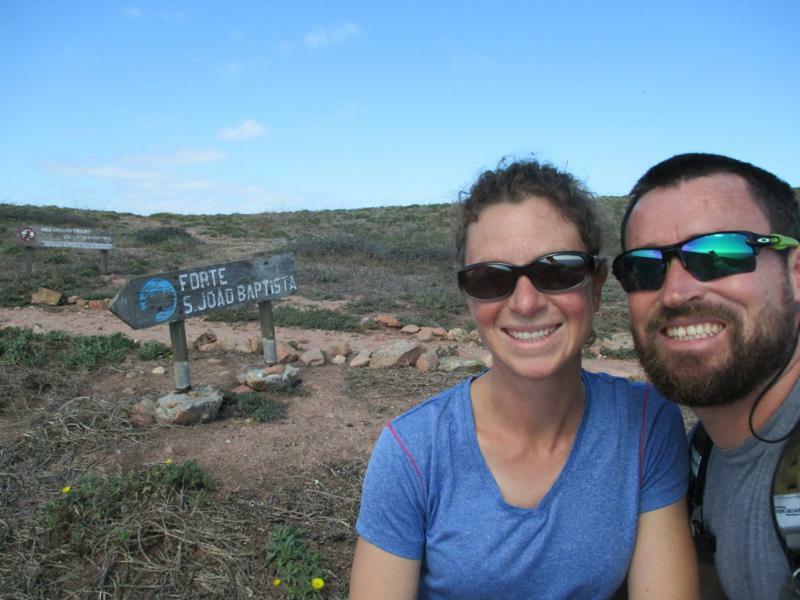 There are rat traps scattered amid the sunburned grass, presumably to protect the birds’ eggs, watch your toes! 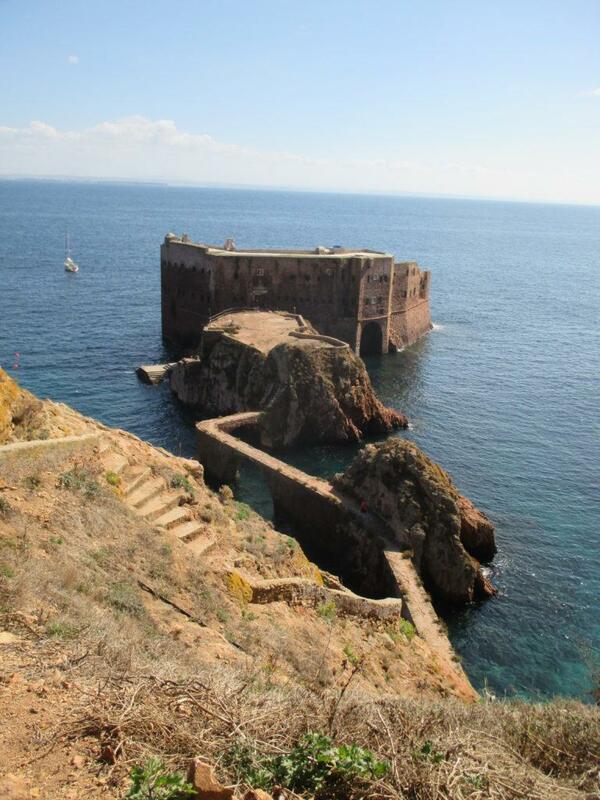 A fortress-like monastery was established in the 1500’s to assist shipwrecked sailors. 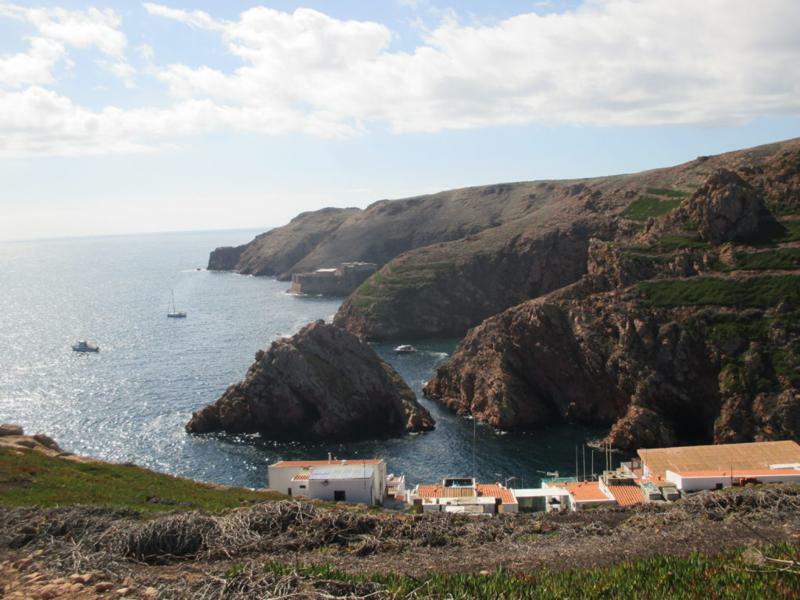 Monks remained at the Monastery of the Misericórdia da Berlenga until the 16th century when disease, poor communication with the mainland, and frequency of assault by pirates forced them to abandon their post. 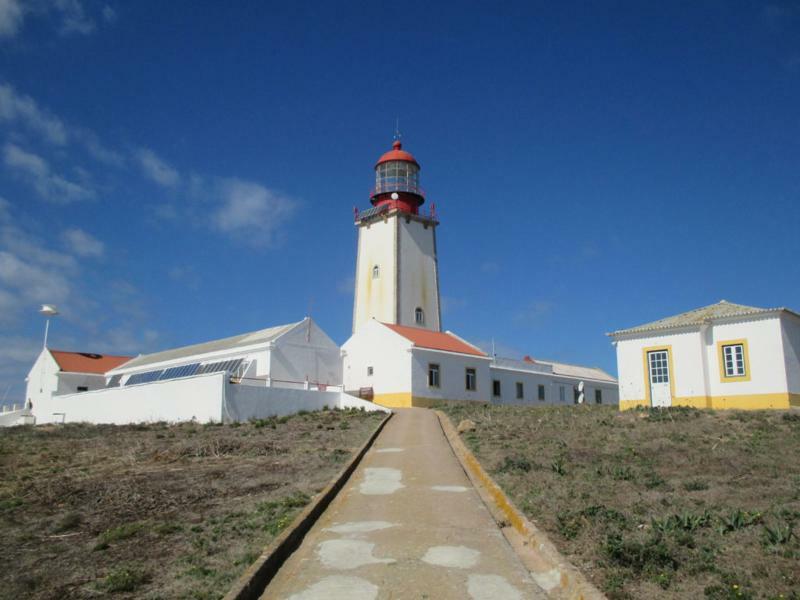 The lighthouse, powered by a modern-day solar panel, was built in 1841; hopefully it has warded off some of those would-be-shipwrecked sailors now that the monks can no longer tend to them!